Tell us what you think about the website! 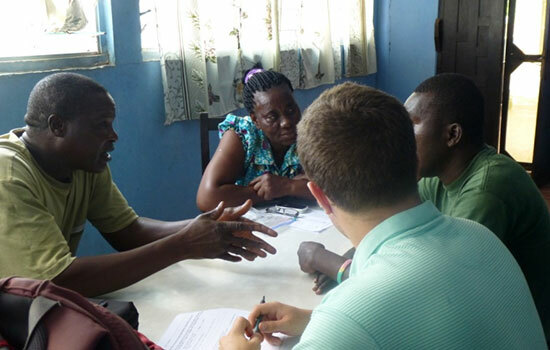 The Inclusion Ghana Research Team continues to interview persons with intellectual disabilities (PWIDs), their parents/caregivers and health professionals on their range of opinions concerning discrimination against PWIDs. The results of the interviews will contribute towards obtaining health care rights for PWIDs. Already 4 districts including, Kwaebibirem, Upper Manya Krobo, Ho Municipal and La Nkwantanang Madina Districts have been covered in the survey been conducted. 2 more districts are outstanding to be covered in July 2013. The survey is being funded by STAR-Ghana. 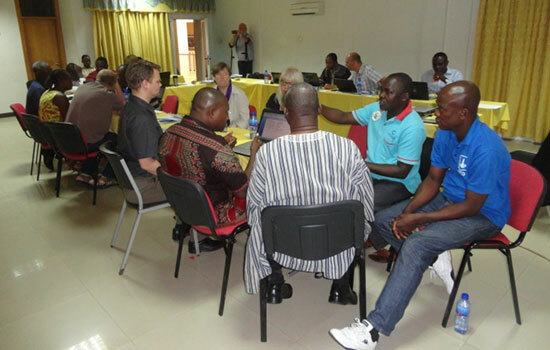 STAR-Ghana is a multi-donor pooled funding mechanism supported by DFID, DANIDA, EU and USAID to increase the influence of civil society organizations and parliament in the governance of public goods and services. The reason for pursuing the outcome of obtaining health care rights for PWIDs is that earlier baseline conducted by Inclusion Ghana in 2011 on the level of stigmatisation and discrimination faced by Persons with Intellectual Disabilities (PWIDs) in Ghana showed that they are highly stigmatised and discriminated against within the health care delivery system. The baseline however did not capture opinions of the whys, how and when these discriminations occur. In addition to this, there is a lack of awareness of specific health needs more commonly experienced by PWIDs. Inclusion Ghana believes this may be due to PWIDs encountering staff who do not have the appropriate interpersonal skills and who are not aware of the Disability Law health provisions for such persons, limited capacity to provide quality services to PWIDs and possibly a majority of health care workers still believe that intellectual disability is the result of juju or wickedness and that by treating such a person, they themselves may become infected. 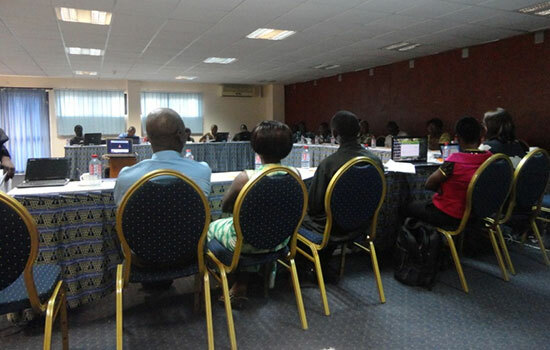 Inclusion Ghana represented by the National Co-ordinator facilitated two sessions on disability perspectives at the legal empowerment training for practitioners working with survivors of Gender based violence in Africa. 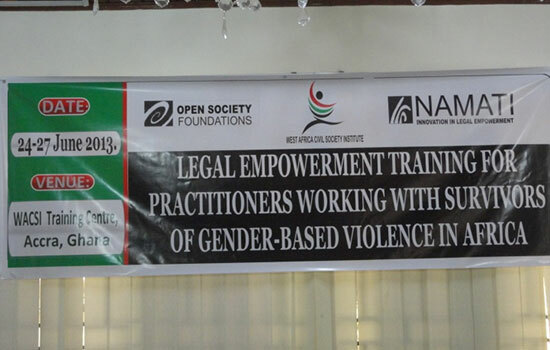 The training was organised by Open Society in collaboration with Namati. Participants of the workshop were Paralegals drawn from different African Countries. - Representation � is there a representative for the individual? If so, what does it mean in terms of who the paralegal talks with and receives decisions from; whom should the paralegal consider as representing the person? how does confidentiality look in this context? - 13 participants also signed up to be 'Champions of Change' for Persons With Intellectual Disabilities (PWIDs). In doing so they have agreed that in their personal and professional capacities they will enable improved access to justice for PWIDs in the access to justice 'chain'; they will also inform their colleagues of communication techniques with PWIDs and will be part of an ongoing group that will be used to disseminate information regarding access to justice issues for PWIDs. This was done as the workshop participants agreed that public education and awareness of the rights of PWIDs was the fundamental building block to improving access to justice for PWIDs. - Parents and PWID's are actively advocating for the legal rights and access to education of PWID's. - Clear road map of full inclusion in the mainstream of disability movement in Ghana. - Staff with capacity to match the needs of the organization and there is a plan for regular training of the staff. 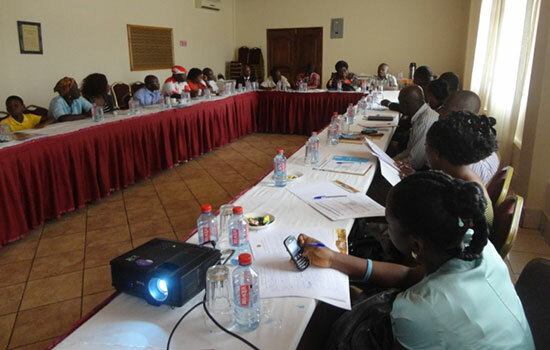 Inclusion Ghana held its 2nd Annual General Meeting on Friday, June 28, 2013. 2 persons, a representative and a parent of a child with intellectual disability from each member organisation participated in the meeting. Other invited guests at the meeting included representatives from Special Olympics, the Ghana Federation of the Disabled and Inclusion Ghana�s Auditors. The Board Report was presented by the Chairperson to the members. Issues presented in the board report included Governance and Leadership; Vision, Mission and Strategy; Strategy Relationships; Programme delivery and Impact; Resource Development; Internal operations and Management; Membership Dues. The Auditors of IG also presented their report. Members were updated on all the different including: all the LEV Projects; Star Ghana Project; DRF Project; GFD Joint Project; and Partnership with Special Olympics. Some amendment were also made to the Constitution regarding the constitution of the board and representation of parents on the board.